I remember when the girls were toddler sized. Those days they were up for just about anything, as long as I packed a sippy cup and Goldfish crackers. And, every Halloween was a production. 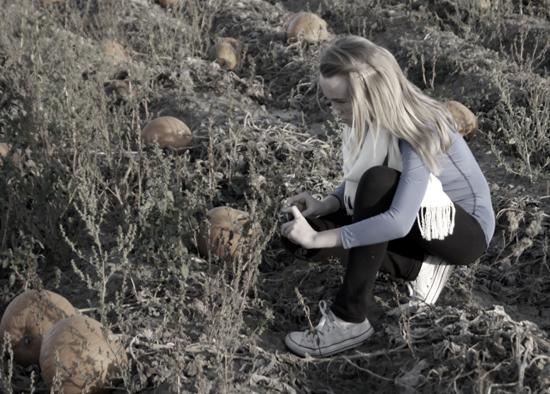 We would spend an afternoon at the “fancy” Pumpkin Patch. 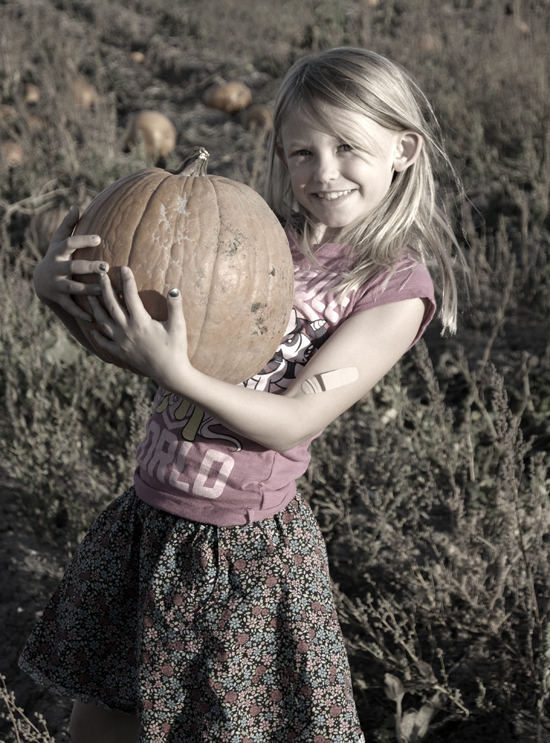 That farm included small animals, a hay ride to pick a pumpkin in field, a general store with more snacks, small carnival rides, face painting, and a pumpkin decorated wooden wagon perfect for photo ops. I have a lot of those type of photos in the scrapbooks. 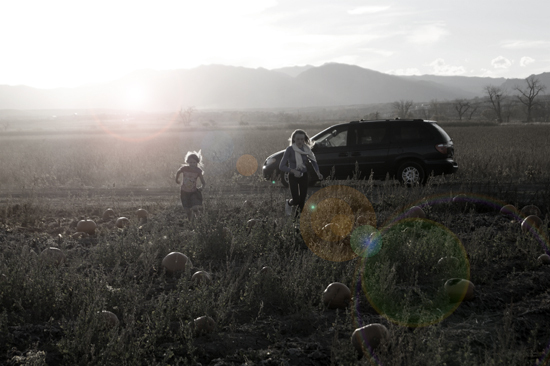 This pumpkin patch was also 40 minute drive, one way. Oh, those were the days when I had energy. It was when I thought the kids needed to have that over-the-top experience, or their childhood would be ruined. R-U-I-N-E-D. 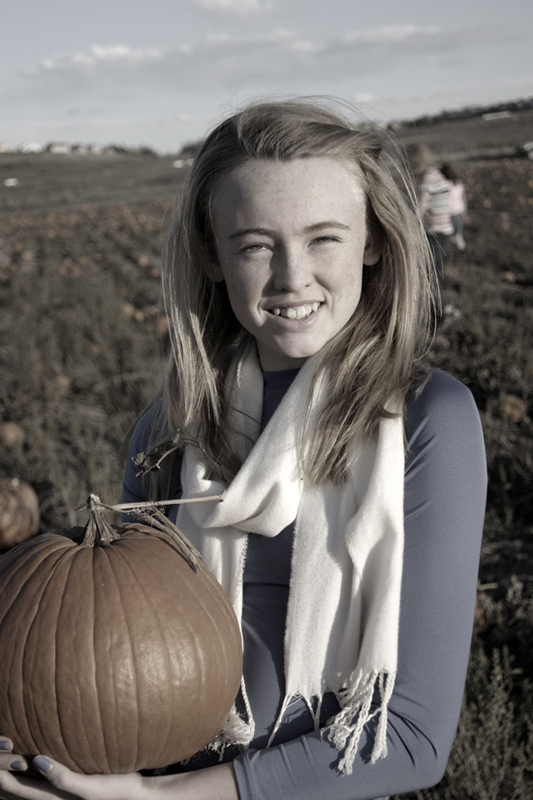 I actually contemplated buying pumpkins at King Soopers this year. I know, I am totally phoning it in. Can I say this mama is tired? If I knew then, what I know now? I would have saved my money and sanity and headed to the simpler farm every year. Yes, those big farms are fun, but they are also pricey, and my kids don’t remember them anyway. I know they don’t, because I asked them. Kids don’t need fancy. Not every Halloween (or experience) needs to be perfect all the time. What are we teaching them if we try to make every experience the best.time.ever? Some of the most memorable events are just average days when we run to buy pumpkins at the local, simple pumpkin patch, and talk about our day. This girl asked me, during our bedtime talk, if something was wrong with me…just because I wanted to snuggle a little longer. When did decide she needed to check up on me? This girl, so fashionable. I was reminded today that I need to start thinking about which High School she will attend. Seriously? I don’t want too. She needs to get the right shot to post on Instagram. She is so my girl! And, the best part? The trip took all of 45 minutes round trip, not 3 hours. Maybe phoning it in isn’t so bad after all. This week we had a photoshoot with my friend at ReasonYou Portraits. Below is my favorite photo that Jen took. Aren’t they lovely? The photos…and the kids! 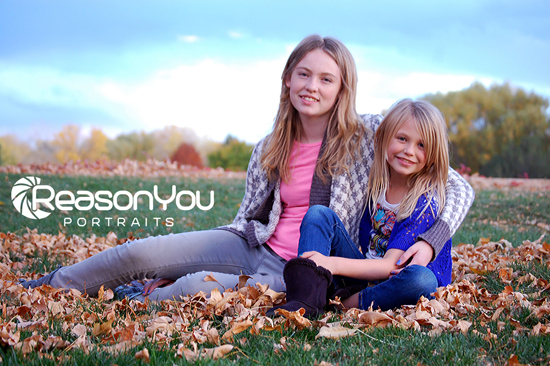 ©2014, Photos by Jen Richardson at ReasonYou Portraits, photographing the Denver-Metro area.